A Dozen Cases Of Tuberculosis Diagnosed In Mumbai : Shots - Health News A dozen cases of totally drug-resistant tuberculosis have been diagnosed in Mumbai. Infectious disease specialists say there will be more cases in India and other countries where TB that doesn't respond to some drugs is being treated inappropriately. An image of Mycobacterium tuberculosis bacteria captured with an electron microscope. Tuberculosis specialists in India have diagnosed infections in a dozen patients in Mumbai that are unfazed by the three first-choice TB drugs and all nine second-line drugs. The doctors are calling them "totally drug-resistant TB," and the infections are essentially incurable with all available medicines. It's a sobering development. Infectious disease specialists say there will surely be more such cases in India and other countries where cases of TB that resist some but not all drugs are being inadequately treated. Poor care is fueling the development of the superbugs. "The vast majority of these unfortunate patients seek care from private physicians in a desperate attempt to find a cure for their tuberculosis," the Indian specialists write in Clinical Infectious Diseases. "The majority of these prescriptions were inappropriate and would only have served to further amplify resistance." The team did a study that showed only five of 106 private practitioners "wrote the correct prescription for treating TB," Dr. Zarir F Udwadia, one of the study authors, told Daily News and Analysis, an Indian publication. "The other TB challenge is diagnosis, especially of resistant strains, and here again the news is not good," writes infectious disease blogger Maryn McKenna. "The World Health Organization said last spring that only two-thirds of countries with resistant TB epidemics have the lab capacity to detect the resistant strains." Johns Hopkins TB researcher Dr. Richard Chaisson tells Shots that "total resistance is a new phenomenon that is entirely predictable." It's predictable, he says, because hundreds of thousands of people in India have what's called multidrug-resistant TB, or MDR-TB. And a growing number have "extensively resistant TB," or XDR-TB. And very, very few of them are getting the expensive, hard-to-take drugs that might cure their infections. "If you don't provide supervised second-line drugs, this is what you're going to see," agrees Dr. Carol Dukes Hamilton of Duke University. "People go to practitioners who aren't TB experts. They don't give the right doses or make sure people take them." Still, the development of these cases of totally resistant TB doesn't necessarily mean epidemics will sweep through India, or anywhere else, right away. For one thing, there's no evidence so far that patients with these defiant TB strains are transmitting them to others. Most likely, Hamilton says, these patients didn't catch the maximally resistant TB strain from someone else. Rather each patient probably incubated his or her own totally resistant strain after being inadequately treated. That allows the TB bacterium to develop resistance to one drug after another. Technically, the Indian cases might not really be totally resistant. The Mumbai specialists didn't try some so-called third-line experimental drugs that U.S. doctors might use in such cases. At least one of the Mumbai patients did have surgery to remove diseased lung tissue, but she died anyway. But practically speaking, such treatments aren't usually available in India or many other places where totally drug-resistant cases may arise. 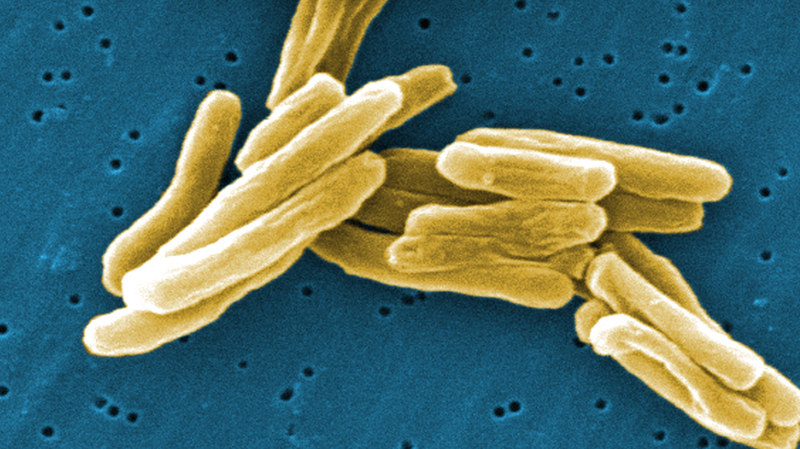 The problem of evolving TB drug resistance has been brewing for years. In the early 1990s, multidrug-resistant TB began spreading in New York City, abetted by homelessness, prison outbreaks and HIV. Aggressive identification and treatment of these cases, including the direct observation of patients taking their pills, snuffed out that epidemic. In 2005, extensively drug-resistant TB — strains untreatable with the three first-line drugs and several second-choice medications — cropped up in the South African province of Kwazulu-Natal, again abetted by HIV, which devastates immune defenses. Chaisson says South Africa has since mounted an effective program of treatment with the few drugs that work against XDR-TB. "But they have more patients than they have treatment slots," he says. Two Italian women with HIV were the first recognized cases of "totally drug-resistant TB" back in 2003. Another 15 patients with totally resistant infections were discovered in 2009 in Iran. So nobody expects the new Mumbai cases will be the end of this troubling new phenomenon. "I have a sense it's inevitable this will occur," Chaisson says. "I don't have a sense that it will become a big problem. It will grow. The question is at what pace it will grow."